Nothing protects your health quite as well as a yearly physical exam. With a focus on preventive care, Gerald Morris, MD, MPH, and Amanda Bacchus-Morris, MD, MPH, at AMG Medical offer comprehensive health screenings, women’s and men’s annual checkups, and yearly Medicare wellness exams. If you have questions or would like to schedule an appointment, call the office in Tucson, Arizona, or book an appointment online today. What are the benefits of a yearly physical exam? Your yearly checkup is a preventive exam with the goal of keeping you healthy throughout your lifetime. 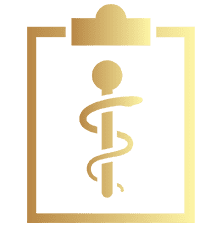 During your physical exam, your doctor at AMG Medical screens for signs of physical and emotional problems that weren’t there on your last visit. If you come in every year, health concerns can be prevented or treated before they become serious. However, letting several years or longer go by between each physical exam gives the problem plenty of time to worsen. Most chronic diseases don’t cause symptoms in their early stages, and without symptoms, you won’t have a clue that there’s a problem unless you come in for an exam. What services are available during your physical exam? During your exam, your doctor at AMG Medical performs a thorough physical exam, checks your vital signs (heart rate, blood pressure, and weight), and orders blood tests if needed. You’ll have time to talk with your doctor about any concerns you might have, whether they’re about how to stop smoking or ways to eliminate stress. The doctors at AMG Medical offer comprehensive care that covers your mental, physical, and emotional health throughout adulthood. What is a Medicare annual wellness exam? If you’re a senior with Medicare Part B, you should know that it pays for a yearly wellness visit. Medicare covers a routine exam and many essential services and tests, including diabetes testing, medically necessary lab tests, and flu shots. In the first year after you receive Medicare, you’re also entitled to a one-time comprehensive visit. This visit includes some services that might not be covered by Medicare in subsequent annual visits, such as a simple vision test. Don’t let more than a year go by before you schedule a preventive physical exam. Call AMG Medical or book an appointment online today.